A business code of ethics is widely regarded as an important instrument to curb unethical behavior in the workplace. However, little is empirically known about the factors that determine the impact of a code on unethical behavior. Besides the existence of a code, this article studies five determining factors: the content of the code, the frequency of communication activities surrounding the code, the quality of the communication activities, and the embedment of the code in the organization by senior management as well as local management. The full model explains 32% of observed unethical behavior while the explanatory value of a code alone is very modest. The study shows when codes are effective, and even when they become counter effective. 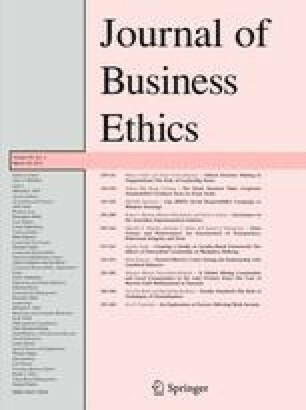 Erhard, W., M. C. Jensen and S. Zaffron: 2009, Integrity: A Positive Model that Incorporates the Normative Phenomena of Morality, Ethics and Legality. Unpublished Working Paper in Process. http://ssrn.com/abstract=920625.